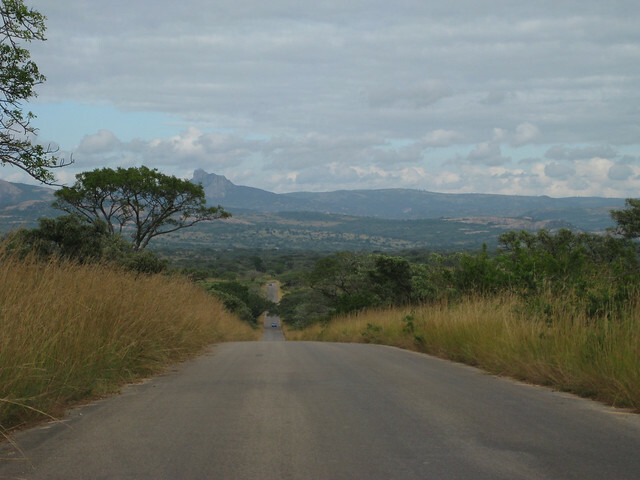 Africa is the world’s second largest continent behind Asia, so it should come a no surprise that ancient and unique land harbors some of the world’s most magnificent sights. In fact, while compiling this list it became very tricky to actually narrow it down to 10 alone with so many taking my fancy. However, after much deliberation, here it is, my top 10 sights to see in Africa. The wildebeest migration takes place between two countries in the African continent. An estimated 1.5 million wildebeest and 200,000 zebra and gazelle migrate from the Maasai Mara in Kenya to the vast plans of the Serengeti in Tanzania between the month of July and October in the search for rain ripened grass. 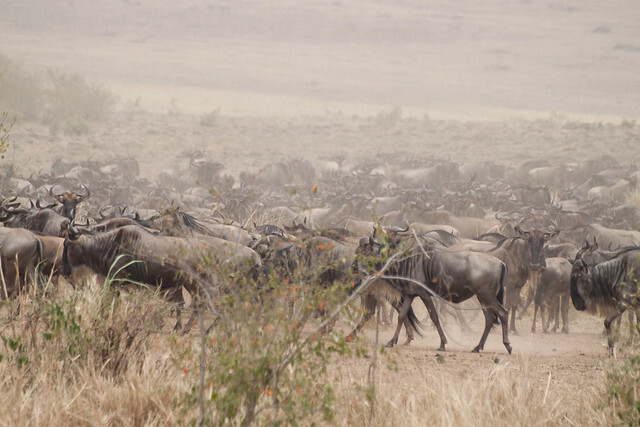 The migration of wildebeest in Arica isn’t so much of a yearly event but more of a lift cycle as the herds move in a clockwise motion between the Maasai Mara and the Serengeti. Away from the Egyptian tourist traps of the north such as the pyramids at Giza or the huge hotels alongside the beaches at Sharm el Sheikh, Luxor is located in Upper Egypt within the Nile Valley. 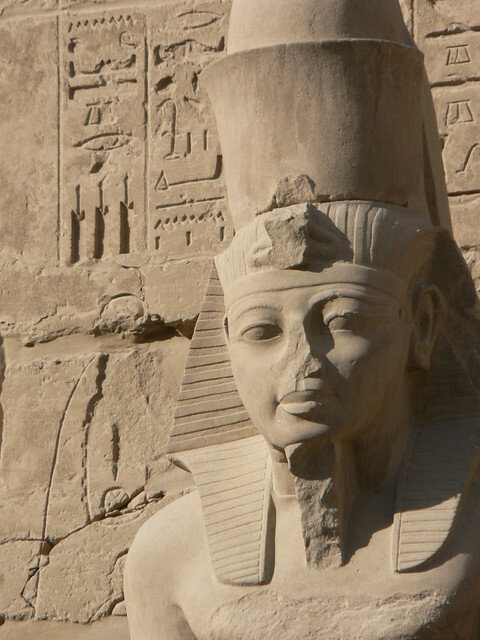 Despite the troubles that Egypt has gone through in recent times, Egypt still remains one of the most historic countries in the world and adds a huge amount of history to the African continent. Luxor features many vast temples and royal tombs alongside the contrasting desert environment and lush Nile valley. Top attractions in Luxor include the Vally of the Kings, The Tombs of the Nobles and The Ramesseum Temple. 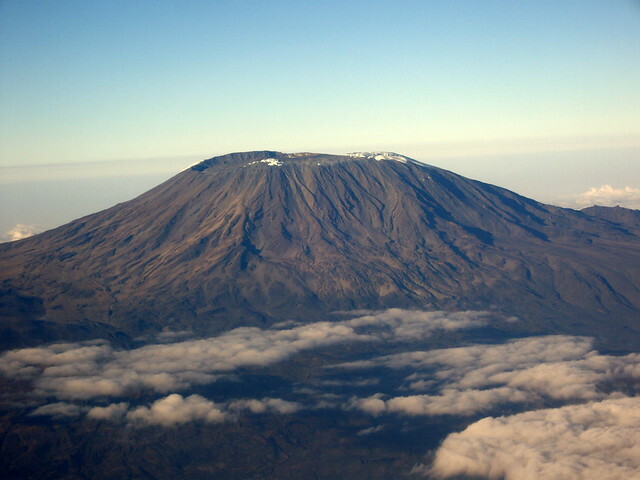 For the adventurous among us, Mount Kilimanjaro presents a respectable challenge as the highest mountain in Africa at 19,341 feet above sea level. Trekking Mount Kilimanjaro is a popular challenge for many people and as such the easier routes can become busy. There are six official routes to the summit and of all of them the Machame route is the most scenic but is also one of the steeper routes and take around six or seven days to summit. In contrast, the Rongai route is the easiest and as a result is the busiest route. From the heights of Mount Kilimanjaro; the next sight to be added to the list is the Ngorongoro Crater. 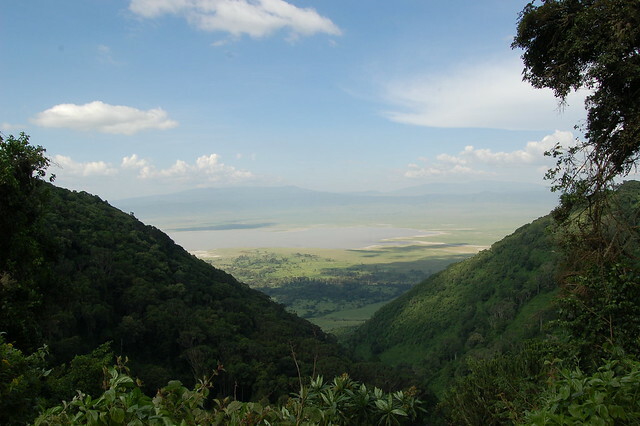 At 2,000 feet deep, the Ngorongoro Crater was once a mighty volcano estimated to have towered fifteen to nineteen thousand feet above the surrounding landscape. It collapsed on itself when the volcano erupted leaving a large, unbroken, un-flooded volcanic caldera. The crated now serves as a natural enclosure and harbors an abundance of wildlife. As such the Ngorongoro Crater is one of the best locations to take in a safari. Trekking through the Volcanoes National Park in Rwanda to see Gorillas in their natural habitat has to be one of the most special magical experiences you can undertake in Africa. 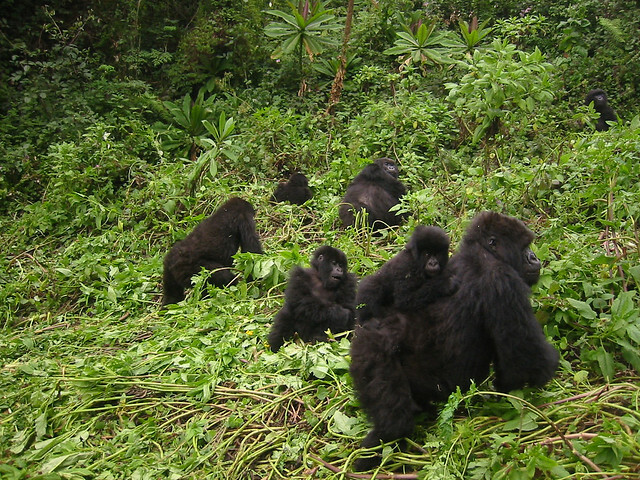 The Rwanda touris board provides several sightseeing activities for tourists where you can follow a guide through the jungle to observe the gorillas in their natural habitat for up to an hour. You can also visit golden monkeys, climb volcanoes such as the Karisimbi volcano and the Bisoke volcano or tour the numerous lakes and caves of the region. Kruger National Park in South Africa is word famous for being one of the largest game reserves in Africa. Covering a staggering 7,332 square miles, Kruger National Park is one of the most popular destinations to undertake a safari tour and see the African big five. Accommodation in the park is available in the form of 21 rest camps, along with two private lodges and 15 designated private safari lodges. There are also wilderness trails in the park that you can hike, however, many require an over-night stop and there are no set trails in the park with visitors encouraged to use animal trails. Deadvlei in Namibia is home to the larges sand dunes in the world. Located close to Sossusvlei, the highest sand dunes in Deadvlei top out at between 300 and 400 meters high. The clay pan at Deadvlei was formed then the Tsauchab river flooded and pools of water were formed, allowing camel thorn trees to grow there. 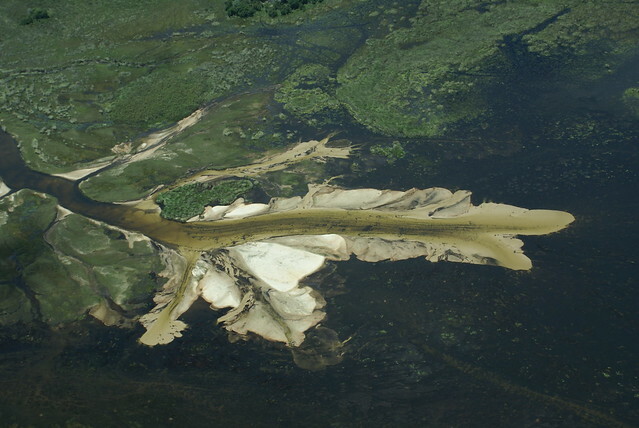 With the changing climate, drought hit the region and sand dunes formed, blocking off the river from the sea, leaving the trees to die. The trees are now scorched black from the sun and make for a staggering sight with the high dunes as a backdrop. Considered one of the seven natural wonders of the world, the Victoria Falls is straddled by the border between Zambia and Zimbabwe and lies on the Zambezi River. 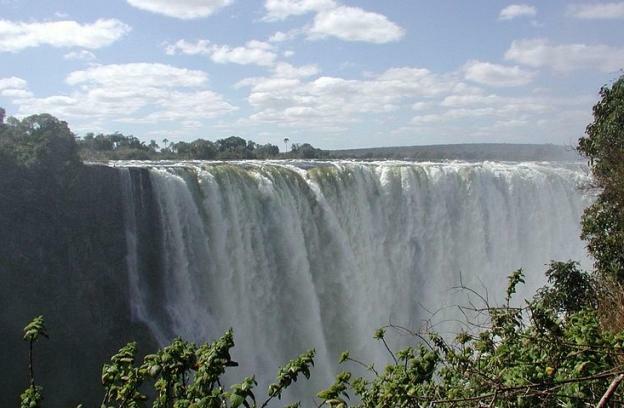 One of the largest water falls in the world, the Victoria Falls takes the broad Zambezi River and compresses it into a narrow gorge the subsequently zigzags its way through a number of other gauges. Situated 570 kilometers of the coast of Western Africa, the Republic of Cape Verde is comprised of 10 volcanic islands with three of them being fairly flat and the remaining seven being much rockier with a lot more vegetation. Colonized by the Portuguese in the 15th century, Cape Verde was used as a stepping stone for the slave trade when crossing the Atlantic. Today the archipelago is becoming increasingly well known for foreign investment and as a tourist destination with a number of large hotels being built to accommodate tourists. Located in the north east of Botswana, the Okavango Delta is the world’s largest inland delta and is formed where the Okavango River drains into a swamp in the Kalahari Desert. The delta is home to a wide variety of wildlife and provides a home to both seasonal and permanent animals and as such, has become a popular tourist attraction. Much of the eastern side of the delta is occupied by the Moremi Game Reserve and provides a perfect location for tourists to observe much of the wildlife that Africa has to offer. Alex is a freelance travel writer who regularly writes about Africa, Botswana holidays and luxury holidays.